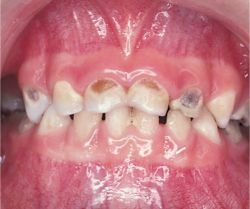 Nursing Bottle Caries is the result of frequent, prolonged contact with liquids that contain sugars such as fruit juices, milk, formula or any other sweetened drinks. 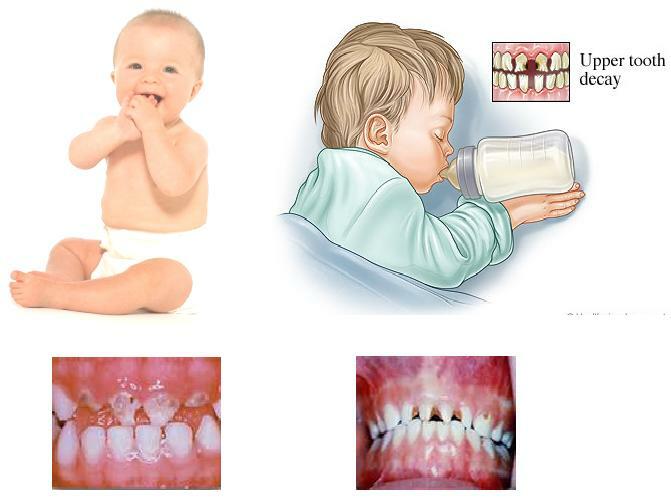 Human breast milk is also a contributor to baby bottle tooth decay. 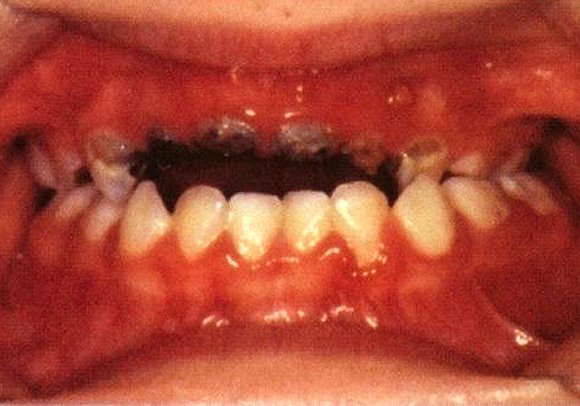 As the sugars break down in the mouth, bacteria start feeding on the sugars, produce acids and cause tooth decay.